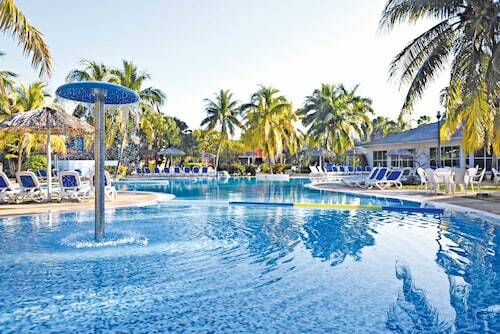 Before you rush off to Varadero on a whim, take the time to learn a few things about it. Cardenas is 12 miles (19 kilometers) to the south. Matanzas, another interesting area, is 25 miles (40 kilometers) away. 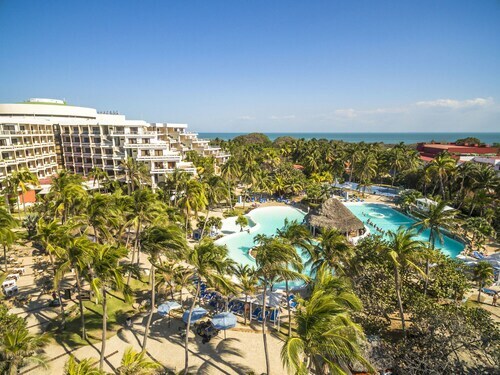 This area of Cuba has a population of around 20,000 people, some of whom will surely be happy to provide you with some invaluable travel tips. Fantastic savings are right at your fingertips if you book your accommodation and flight deal via Travelocity. And don't forget — you can choose from upwards of 400 airlines and 665,000 properties. From flights and accommodations to experiences and car rentals, we offer 24/7 personal assistance with our Customer 1st Guarantee. Seen an even better bargain elsewhere? We'll meet the price and refund the difference^. We know that sometimes situations change. If you decide to change or cancel your travel bookings, you will never pay a fee to us. And as long as you get in fast, many accommodations won't charge you a fee either^. 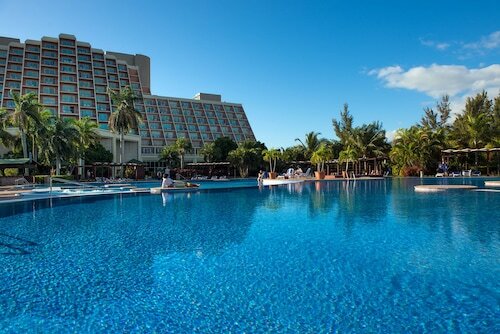 Where do you fly into for Varadero? Landing at Juan Gualberto Gomez Airport (VRA)? After you've stepped off the plane and claimed your bags, the middle of Varadero will be just 18 miles (29 kilometers) from here. Can I rent a car in Varadero? Thinking of taking a road trip while visiting Varadero? A rental car will definitely be helpful here. Look through your options on Travelocity, select your favorite and hit the highway! Unfortunately, there aren't any car rental firms in easy reach of Juan Gualberto Gomez Airport. You'll need to hop in a cab or investigate public transport if you want to journey the 18 miles (29 kilometers) into the city. Whether you're the next Michael Phelps or you just love a paddle, check out Dolphinarium. You'll be able to cool down and enjoy a dip, no matter your skill level. Like some more options? Explore the caverns, shafts and subterranean tunnels at Ambrosio Park. If you want to test your nerve, try flicking off your head torch and spend a few seconds in the silent, inky blackness. And that's not all there is. It's well known that dolphins are some of the smartest animals in the world. A few hours at Delfinario will give you a deeper understanding of these amazing mammals. 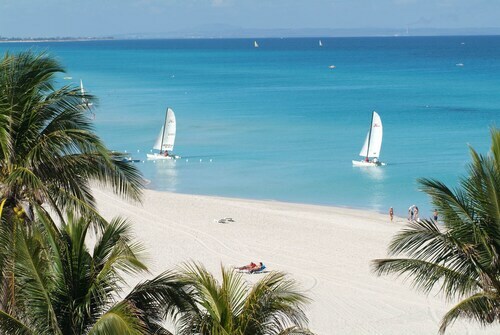 Seen all there is to see in Varadero already? Don't fret! Carbonera is just 17 miles (27 kilometers) from here and has plenty of activities to keep you busy. Begin delving into the culture and character of the region at Saturno Caves. If you're keen to learn more, check out Morrillo Castle and Santa Catalina Caves too. Want more options? Matanzas is 25 miles (40 kilometers) from Varadero. Visit for attractions like Parque de la Libertad, the Pharmaceutics Museum and Matanzas Cathedral. You've got all the choice in the world! 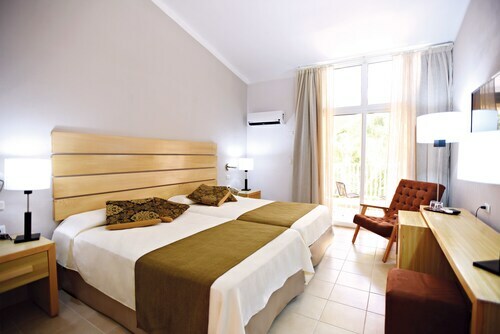 Nestled on the beach, this Varadero property is within 1 mi (2 km) of Ambrosio Park and Dolphinarium. Marina Gaviota and Josone Park are also within 9 mi (15 km). Nestled on the beach, this Varadero property is within 1 mi (2 km) of Varahicacos Ecological Reserve, Marlin Marina Chapelin, and Ambrosio Park. Dolphinarium is 0.8 mi (1.2 km) away. 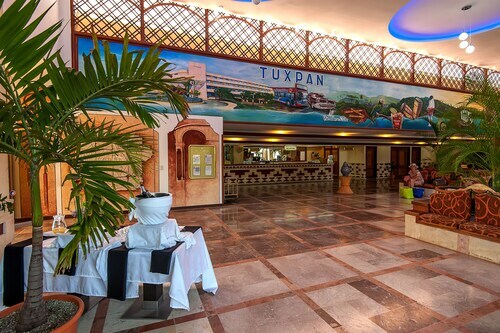 Situated near the beach, this hotel is within 1 mi (2 km) of Josone Park and Varadero Beach. Las 8000 Taquillas Park and Shopping Mall and Artisan Market are also within 3 mi (5 km). Located in Varadero, this beachfront property is next to a golf course and within 1 mi (2 km) of Josone Park and Varadero Beach. Las 8000 Taquillas Park and Shopping Mall is 1.6 mi (2.6 km) away. Nestled on the beach, this Varadero property is within 1 mi (2 km) of Varahicacos Ecological Reserve, Ambrosio Park, and Dolphinarium. Marlin Marina Chapelin is 1.4 mi (2.2 km) away. Located in Varadero, this beachfront property is in the entertainment district and within 1 mi (2 km) of Josone Park and Varadero Beach. Las 8000 Taquillas Park and Shopping Mall and Artisan Market are also within 3 mi (5 km). This family-friendly Varadero property is within 3 mi (5 km) of Varadero Beach, Las 8000 Taquillas Park and Shopping Mall, and Josone Park. Dolphinarium and Artisan Market are also within 6 mi (10 km). Located in Varadero, this beachfront property is next to a golf course, 2 mi (3.2 km) from Marlin Marina Chapelin, and 2.6 mi (4.2 km) from Varadero Beach. Varahicacos Ecological Reserve and Dolphinarium are also within 3 mi (5 km).